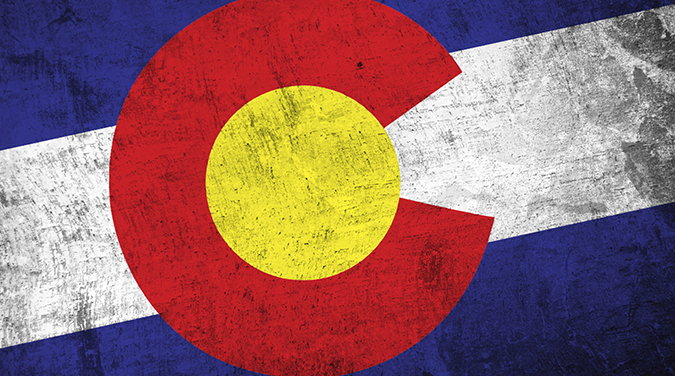 On June 26, Colorado gun owners were dealt a setback in the form of the United States District Court for the District of Colorado’s decision in Colorado Outfitters Association v. Hickenlooper . The court upheld the state’s 2013 gun control laws prohibiting private firearm transfers without government approval and banning magazines with a capacity of greater than 15 rounds. Following the passage of the state’s new laws in 2013, a coalition of Colorado sheriffs and organizations, including the National Shooting Sports Foundation and the NRA state affiliate Colorado State Shooting Association, filed suit to have the laws invalidated. The plaintiffs contended that the magazine ban is unconstitutionally vague, violates the Second Amendment, and is in conflict with the Americans with Disabilities Act (ADA). Further, they argued that Colorado’s vast restrictions on the private transfer of firearms are in violation of the Second Amendment. In her opinion, Chief Judge Marcia S. Krieger used the now familiar “two-step approach” to determining a firearm law’s constitutionality in relation to the Second Amendment. The process requires the court to consider whether the law “burdens conduct protected by the Second Amendment,” and if so, “what level of scrutiny to apply” in relation to that burden’s effect on “core” Second Amendment liberties. Those who criticize this approach as leaving the resolution of the case largely to the judge’s discretion and imagination will likely not be mollified by Chief Judge Krieger’s analysis. In relation to the Second Amendment challenge to the restrictions on private firearms transfers, including temporary loans, Krieger contended that “the burden imposed on the right is no more severe than the law already provides with regard to firearm sales.” According to Krieger, “Nothing in the Second Amendment can be read to suggest that a permissible burden on commercial sales of firearms cannot similarly be extended to apply to those acquiring firearms by loan.” Again using an “intermediate scrutiny test,” Krieger rejects the plaintiffs’ arguments. The court was similarly unsympathetic to the plaintiffs’ vagueness challenge, which claimed that the portion of the magazine statute that grandfathers the ownership of magazines under the “continuous possession” of their owners since July 1, 2013, is unconstitutional. The plaintiffs argued the term “continuous possession” is inadequately defined and therefore does not provide those subject to the law with enough information to avoid violating it and opens the possibility for unjust enforcement. The court, however, found that “the ‘continuous possession’ requirement as a whole is sufficiently clear that reasonable people can understand what general types of conduct are authorized.” Further, it rejected arguments relating to the statute’s possible enforcement problems, claiming that the law “does not authorize or encourage arbitrary or discriminatory enforcement.” Again conceding the plaintiffs’ point that “the ‘continuous possession’ requirement may not be clear in every application,” the court nonetheless found that it passes muster because it is not “wholly subjective” and because some conceivable applications of the statue would be clear. The court additionally rejected the plaintiffs’ claim that that the magazine ban violates the ADA by disparately affecting differently-abled persons. Krieger claimed that the plaintiffs’ ADA argument fails because the laws do not “disproportionately impact disabled individuals with respect to a Colorado ‘service, program, or activity.’” The judge went on to hold that even if the “statutes did constitute a government service, program, or activity,” there is not “meaningful statistical analysis” that demonstrates a disparate effect on the differently-abled. As if the actual holdings in the case did not do enough violence to Second Amendment rights, Judge Krieger also saw fit to insert additional commentary about her views on the constitutionality of banning AR-15 rifles, an issue which was not presented by the case. According to Judge Krieger, “If, as Heller implies, the M-16 rifle can legally be prohibited without violating the Second Amendment, it seems to follow that other weapons such as the AR-15 may also be prohibited, notwithstanding the fact that some individuals believe that such weapon is important, or even essential, to their self-defense.” Judge Krieger did not elaborate on this reasoning or address the potential significance of automatic versus semi-automatic operating systems to her theoretical Second Amendment analysis. While the ruling represents a setback for Colorado gun owners, the courtroom battle over the Rocky Mountain State’s new gun laws is far from over. The plaintiffs are appealing Judge Krieger’s decision to the United States Court of Appeals for the Tenth Circuit.